The Forget Me Not Children’s hospice have launched the ‘Much More than a Football Match appeal’. This is great chance for fans to help the hospice raise money through purchasing discounted tickets; which seems like a win win situation for both parties. 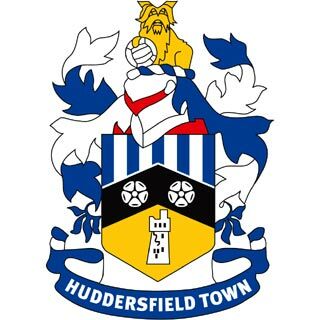 Huddersfield Town has given the hospice 2,000 discounted tickets for the game against Stevenage on the 8th October. And as you may have seen in the Examiner last week Town legend Andy Booth has been lending a hand to help encourage thousands of fans to raise funds for the hospice. Not only are town helping the hospice raise money but during half time at this match the keys for the hospice’s new building at Brackenhall will be handed over. Tickets cost £10 for adults and £5 for under-16s and are available from the hospice’s office at Pennine Business Park in Bradley and the seven hospice shops. For more details about this appeal and purchasing tickets please take a look at the links below…. 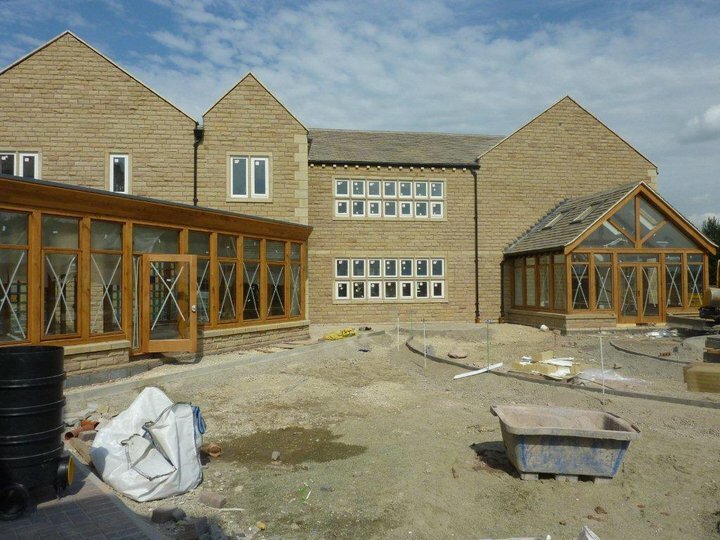 As a company (ME Consultancy Ltd) we’ve been actively involved in the development of the new hospice as we’ve installed the hospice’s new phone lines which has helped them save a great deal of money in the process. Peter Branson’s Twitter comment “Brilliant service from ME Consultancy – BT wanted to charge us £17k for phone connections, ME Consultancy reduced it to just over £1k. Thanks guys!” We’re happy to have helped the hospice save money which can then be put to better use within the hospice to help them continue the great work they do and their fundraising efforts. We’ll be there on the day they receive their keys for the new hospice building and can’t wait to see the building. 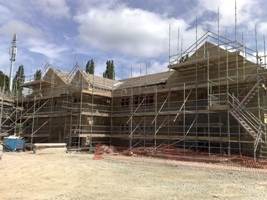 Below are some photos taken from the Forget Me Not Children’s Hospice Facebook Page showing the development of the new hospice building; to see more photos from this album, visit their Facebook page.